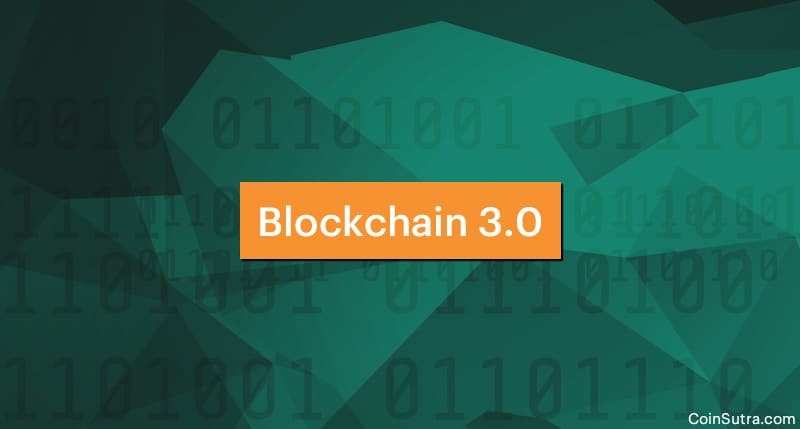 The blockchain 3.0 is already out there. Late? Thinking what happened to Blockchain 1.0 and Blockchain 2.0? Here, the first gen being Bitcoin and the 2nd gen being the likes of Ethereum, but none of them incorporate all the 4 properties as aforementioned. That’s why 3rd generational blockchains are slowly breaking the dawn with their innovative ways to incorporate these properties so that they can adapt to the ever-changing demands of this space. Some of the notable projects to look into in 2018 in the niche of 3rd generation blockchains are listed below. Cardano is an open source, decentralized public blockchain and cryptocurrency project that is fueled by its native cryptocurrency called ADA (Cardano). Cardano blockchain will feature smart contracts also but in such a way that has never been developed before, making it a far superior blockchain protocol developer so far. More so, before beginning its development, it solely focused on research-first approach and that’s why the idea is being implemented after several peer reviews of its whitepapers by researchers and mathematicians around the world. Hence, it dubs itself as the 3rd generation of blockchains that we will very soon see in the market. Cardano is under-development so it will be interesting to see how the future of 3.0 blockchain unfolds after its mainnet launch. The price of Cardano is low and has a humongous supply. Their public testnet version of blockchain is out and mainnet launch is scheduled for the 3rd quarter of this year. Zilliqa team looks very promising with learned cryptographers part of it (See the full team here). Another narrative that is used while discussing 3rd generation blockchains apart from scalability, privacy, inter-operability is its ability to secure a huge amount of data. And by a huge amount, I really mean a lot of big data. It aims to build a decentralized community of different softwares and websites on the internet that will be powered by the blockchain tech. EOS also refers to this concept as DACs i.e. decentralized autonomous communities or autonomous corporations. For this, EOS provides tools to make DApps and smart contracts over EOS blockchain which is fast, secure, private, and can store large amounts of data in a decentralized manner. EOS is under continuous development and is progressing as per its huge ambitious development road-map. ArcBlock is working on making the world’s different blockchains more compatible and user-friendly with each other to make more comprehensive DApps. 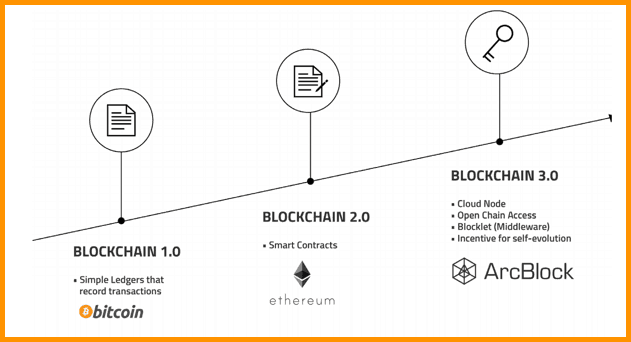 ArcBlock’s Open Chain Access Protocol enables applications to adapt to a variety of blockchain protocols including Bitcoin, Ethereum, Hyperledger, and more. The Open Chain Access Protocol will be open source with an MIT license so that everyone in the blockchain community will be able to contribute, create extensions, and make improvements. And they feel these core infrastructure changes will also be the part of next-gen blockchains as well and hence they are one of the notable blockchain 3.0 powered by its native token ABT. Aion calls itself as “The Third Generation Blockchain Network” that is committed to solving the unsolved problems of the blockchain world namely, interoperability, scalability, and privacy through a multi-tier blockchain system that they have developed. We need platforms like Aion because there will 1000s of blockchain networks in the future who will all be looking to communicate with each other in a secure and scalable way. That’s why Aion becomes important. Aion will support the development of new blockchain as well smart contract writing, development and execution all fueled by its native Aion token (AION). Needless to say, change is the only thing permanent in the world. That’s why you will have the 3rd generation blockchains coming more to the picture in 2018 as all of them try to solve the problems of the last two generations in their unique ways. Having said that, the blockchain one that scales fast will see the break-even point in the market plus the speculation surrounding it can take it to the moon. But that doesn’t mean that we don’t have space for a few good blockchain 3.0s to co-exist together in this space. Now its time to hear from you: Which of the blockchain 3.0 projects do you like? Do you know any more interesting 3rd generation blockchain projects? Let us know in the comment section below. ICON yes but not NEO. Hi Sudhir – I think you should also look at Wanchain along the third generation list. Hey Sudhir, you should check out Komodo. They are already creating a blockchain ecosystem and have the tech built already. 15+ blockchains are being secured through their tech . But it is not 3.0 blockchain yet. Thank you Sudhir for this article. May you please give your thoughts on ZRX and NEO ? Thank you Sudhir for this article. How about IOST ? Haven’t looked into it. You tell me, what you think. Thank you Sudhir for this article.May you please give your thoughts on IOST ?